Wüst Spanish Cadiz pattern deck for export to Cuba c.1910-1920, advertising ‘Tropical’ beer. The Wüst star can be found on the Ace of coins, but the maker’s name is otherwise only to be found on the box. None of the court figures wears a moustache. 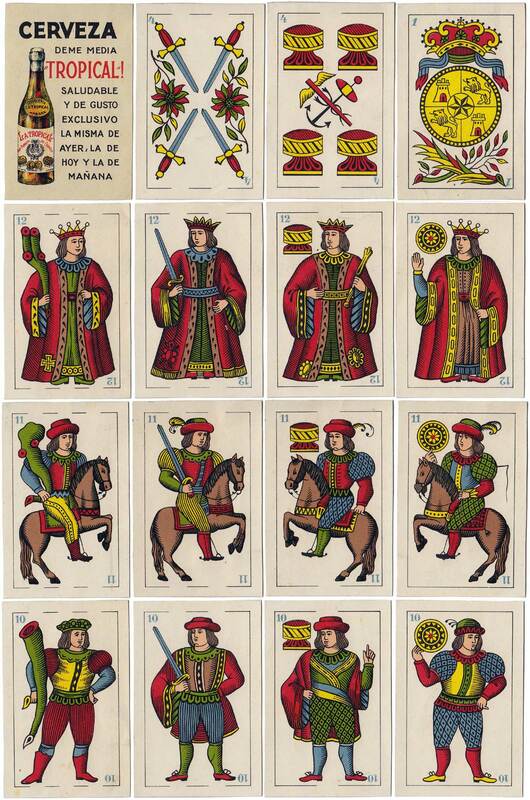 Earlier editions of this pattern were produced by Wüst since the late 19th century with legends on several cards and sometimes with the Wüst star on the Jack of swords. Above: Wüst Spanish Cadiz pattern deck for export to Cuba c.1910, advertising ‘Tropical’ beer. 40 cards. 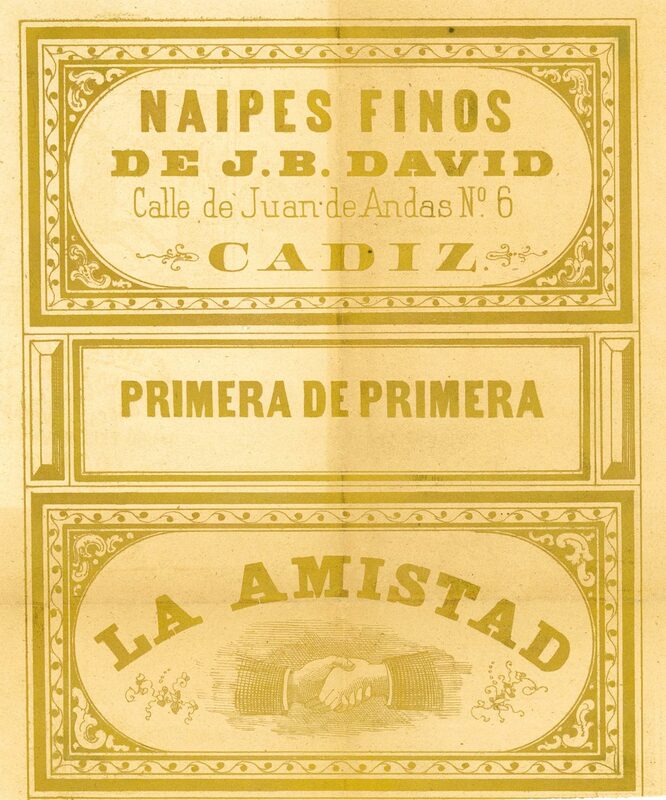 Above: later edition of the same Wüst Spanish pattern deck for export to Cuba, but with rounded corners and from different lithographic stones. c.1920. 48 cards. All above images courtesy Paul Symons. Shaw, Martin & Symons, Paul: Playing cards from the factory C.L.Wüst, Frankfurt, Germany (1811-1927), Catalogue of the exhibition held at the Nationaal Museum van de Speelkaart, Turnhout, Belgium, 23 September-31 December 2005. See page 44. Additional research by Alberto Pérez González.